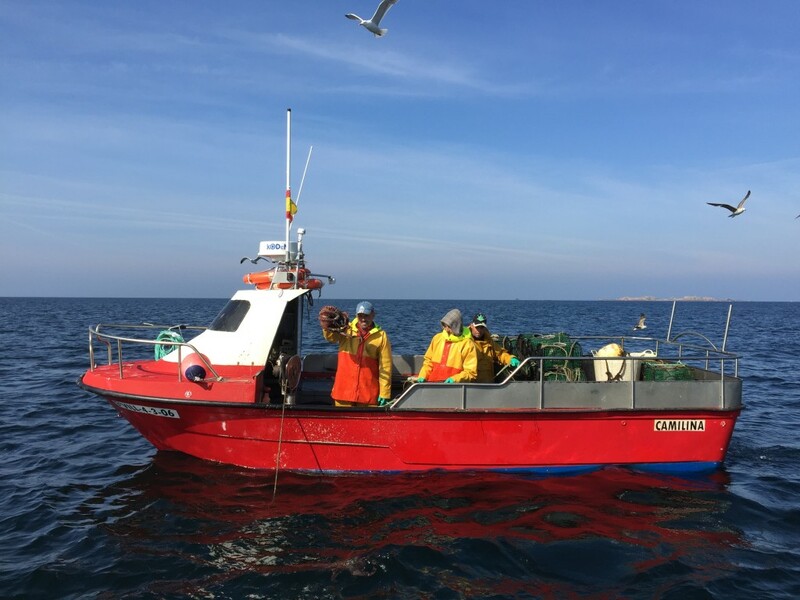 For the last three years, Environmental Defense Fund Europe has been working in partnership with World Wildlife Fund (WWF) Spain through a nation-wide project focusing on the sustainability of small-scale coastal fisheries. Small-scale fishing is the lifeblood of many coastal Spanish communities. In order to preserve this way of life it is critical to understand how these fisheries are doing biologically. As in small-scale fisheries worldwide, many Spanish coastal fisheries have limited information available to work with, and a stronger link between science and management could be made. Small-scale coastal fisheries in both Spain and globally tend not to have the detailed information needed to utilize the most commonly used fisheries assessment methods. It used to be that there was a lack of tools adapted for use in small-scale fisheries, meaning that many went unassessed. Without the information needed to understand the real state of the ecosystem, and guide scientific decision making, effective management was hard to do. But today there are alternatives: assessment tools collated from across the world that can be applied to Spanish small-scale coastal fisheries. These tools can start to paint the picture of the state of the marine ecosystems in question, and assess their vulnerability to over-exploitation. Finding ways to evaluate the state of these fisheries means gaining a deeper insight that can guide more effective fishery management decisions: both in terms of how to focus future data collection and how to design appropriate management measures. How many different stocks are targeted? What do we know about the biology of the targeted species? E.g. At what size do they reach maturity and what is their size, distribution and spawning potential? What do we know about the fishing activity taking place? Last month, together with Gonzalo Macho from the University of Vigo, we brought together fisheries scientists, managers and government and NGO representatives to take part in an intensive training workshop aimed at learning practical ways to assess and manage Spain’s smaller, data limited coastal fisheries. The event showcased Environmental Defense Fund’s Adaptive Fisheries Management Framework, which outlines a process and a range of tools already in use in other data-limited fisheries across the world. Attendees came to Madrid from six autonomous regions of Spain where fishing is at the heart of local communities. “The wolf was not as fierce as we feared!” – Participants at the workshop commented that they were surprised by how easily the tools could be used. During the workshop, we applied the tools and methods to the six case study fisheries in a series of hands-on sessions designed to equip the communities to go back to the field and apply what they had learned to these, and many other data limited scenarios we find in Spanish coastal fisheries. We will be producing a technical paper in the coming months that reviews the framework, showcases the tools, offers concrete examples and discusses important limitations and opportunities to improve these tools as we put them into use across Spain. Fishery managers and scientists who joined us in Madrid are eager to start practical application of what they learned in the workshop, and it is important to create a discussion and support phase as this work gets underway. With this in mind, we are also forming a working group to offer ongoing support as participants test and apply these methods in the fisheries they work with. We’re looking forward to an ever-evolving dialogue with these varied regions, and new learnings from their experiences. Stay tuned for updates as we take the Adaptive Fisheries Management Framework out ‘into the field’ in Spain’s data limited coastal fisheries. This entry was posted in Europe, International and tagged Data limited fisheries, small-scale fisheries, Spain. Bookmark the permalink. Both comments and trackbacks are currently closed.